Our mission is from Jesus. He gave it to his disciples before He ascended back to heaven. It is this. Glorify God by making disciples. To help you become a follower of Christ–a disciple we have three stages in a cycle. We call them Come, Grow, and Serve. 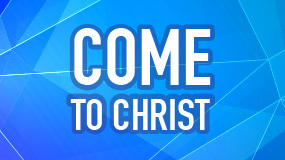 By “Come” we mean this: Join God’s people in a weekly assembly. This happens on Sunday morning. We sing, worship, pray, give, fellowship with one-another and listen to a teaching of the Word. From there we move to being involved in a Grow Group or a one-on-one mentoring relationship, or we get a prayer partner. We call that stage “Grow” Finally, we form what we like to call “Missional Teams.” These are groups that get together to accomplish things for God–especially to obey the commands of Christ in a practical way. That is the “Serve” stage. Evangel Baptist Church exists to glorify God by making disciples. (Matthew 28:19-20, Acts 2:38-47). Come to Christ; We seek to make more and better disciples for Christ. This is emphasized in our weekly corporate assembly as we worship God together and receive Biblical instruction. Grow in Holiness; We pursue being imitators of God in holiness and unity. This is encouraged in small groups called “Grow Groups” as we pray, practice the “one-anothers” of Scripture, study the Bible with an emphasis on application and community. Serve in Love; We are involved in missional efforts–to embed the seed of the Gospel in the soil of good works. This is accomplished through ministry teams where we advance the mission of Jesus together. Meaningful prayer. A Christian church is devoted to prayer. The basic prayer meeting at Evangel is in the Grow Group. Bible “Doing” not just study. These are sometime sermon-based. Missional Planning. We plot together to participate in the mission of Jesus to reach and make disciples of others. Prayer. We pray for people as God puts them on our hearts that they will come to faith in Christ and flourish spiritually. Love. We use the gifts God has given us and the places where God has put us to do kind deeds for those for whom we are praying. Invite. Those for whom we pray and whom we love we invite to hear the gospel and meet other believers. Gospel Conversation. We like to listen to the stories of people, tell our stories and tell them the Gospel story.